YEHUA I1 wireless display transmitter/adapter mirroring screen from phone to big screen by Airplay,Miracast,DLNA for Iphone Android phone Mac. 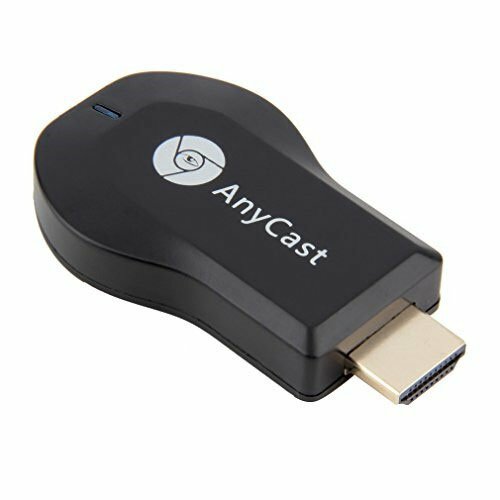 1080P HDMI TV stick.Streaming media dongle. Please contact our service team if you still do not know how to operate. It is very important. Advantages: Not Support Google Home APP, Hulu,Netflix,Honda and encrypted videos. Stable signal: 2.4GHz incomparable 150Mbps transmission speed.Wi-Fi: 802.11b/g/n.With external antenna. 1080P high resolution: 1080P HD high resolution,Wide used in school teaching, office meeting,game playing, home theater. Also support CarPlay.It will be not boring anymore.